Surface must be dry and clean. For new surface remove all loose powder by sweeping with sand paper. 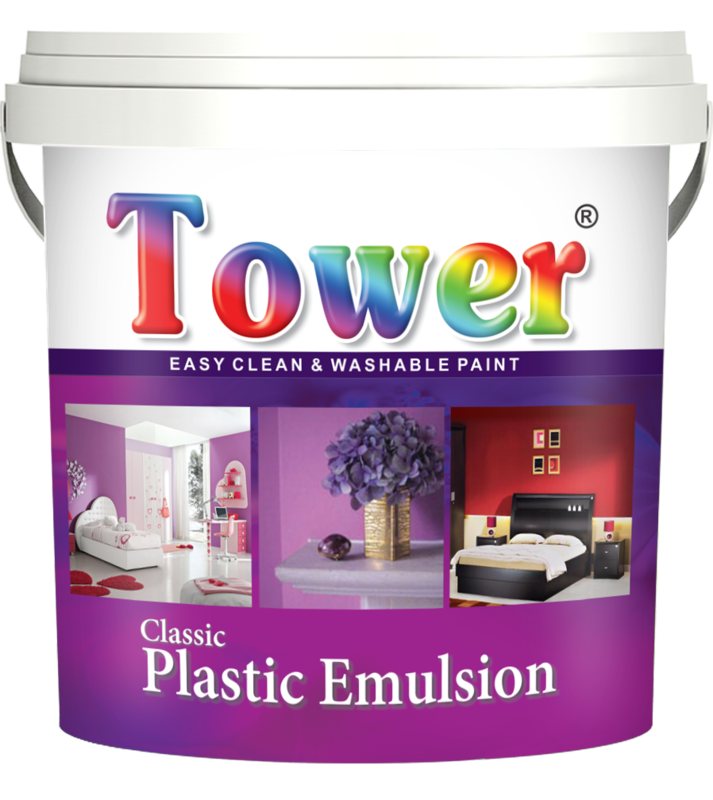 Apply a sealing coat with Tower Wall putty. Allow the filler to dry overnight before painting with emulsion paint. For old surfaces, necessary repair work of cracks and defective rendering should be done before painting. Remove all moss, Remove poorly adhering or powder coating. Apply sand paper to get smooth surface. For best results apply one coat of Tower Acrylic Primer. It will give excellent finish and smooth silky effect.